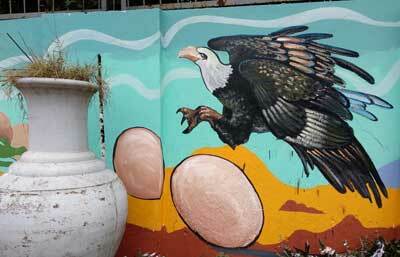 Bhubaneswar: International sports events have helped to get various themes painted on the walls across the city through the Street Art and Mural Project (STAMP). 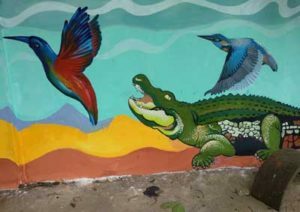 This time, the famous mangrove forests of Bhitarkanika has started appearing on the walls of the Institute of Minerals and Materials Technology (IMMT) with a beautiful depiction of its wildlife and environment. Created by Rashmiranjan Jena and his co-artists, the stretch along IMMT after Regional Museum of Natural History till the end of the IMMT compound, the Bhitarkanika theme has already started drawing people’s attention as the crocodiles, birds, red crabs and Olive Ridley turtles have begun emerging from the line drawings and taking shapes of the life forms. When the entire globe is going to converge at the Kalinga Stadium Sports Complex for the Odisha Men’s World Cup Hockey-2018 and the city is gearing up to look like a blooming flower with the STAMP initiative, the best-kept secrets of the State are also getting reflected with the brush strokes of our young and talented artists, here and there along 10 major stretches. This work has been assigned to the respective artists by the Bhubaneswar Municipal Corporation. 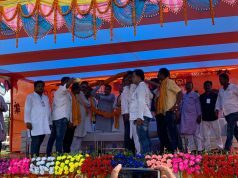 “I thought of creating Bhitarkanika ecosystem on the walls near IMMT as it is one of the most beautiful mangrove ecosystems of the world and also known for its Gharial crocodiles, bird species, sea turtles and the red crabs, found along the Odisha coast,’’ said Jena. 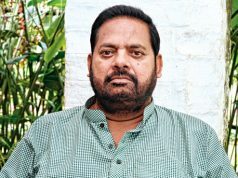 The artist, an alumnus of the oldest art institute of Odisha, Khallikote Art College, has nearly 20 artists in his team. The team comprises professional artists who have taken up projects on their own and also students including post-graduate students from leading art colleges across the state. 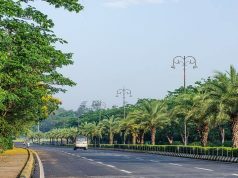 “We have infused almost all major elements of Bhitarkanika into the wall-painting starting from the eggs of the crocodiles, hatchings coming out of the eggs, birds of the mangrove paradise and also the famous red crab, which is famous along the entire coast of Bay of Bengal along Odisha coast. We have also visualised the interrelationship of the various wild animals and the beautiful bonding through our limited scope on the walls,’’ Jena explained. Rashmiranjan is planning to have more wall paintings on the IMMT wall after finishing Bhitarkanika. “It is a huge wall and after finishing the concept on mangroves, we want to have paintings on animal instincts in which we are planning to have large animals like tiger, rhinoceros, wild birds and also something on man-animal conflicts,’’ he added.